The item #1 Make Something of It, (electronic resource) represents a specific, individual, material embodiment of a distinct intellectual or artistic creation found in Austin Public Library. 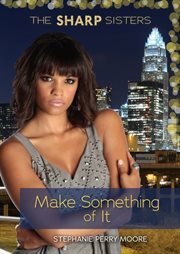 Shelby aims to be the next great fashion designer, but while working toward her dreams, she discovers some ugly secrets that fashion can't hide: domestic violence. Can she find a way to help the victims?